Last night several FABB members attended the Evolution of Transportation event sponsored by Fairfax County and others. It was held in the Mosaic District at the Angelika Theater. Some of us rode there and it was good to see the bike racks in the parking garage nearly full. The event included several talks, a "panel" discussion (more talks), and was supposed to include a question and answer session. The talks lasted beyond the scheduled meeting time so it was disappointing that none of the questions were asked. One of the main reasons for us to attend was to hear a dialogue about the future of transportation in Fairfax. The event started with the premiere of the short film History of Transportation in Fairfax County. It was interesting to hear about the history of roads like West Ox Road, Rolling Road, and others. Unfortunately there was no mention of the role that bicyclists played in the development of paved roads in the U.S. The Good Roads Movement was begun by bicyclists in the late 1800's. There was also no mention of walking or biking. Chairman Bulova introduced Congressman Connolly who discussed the importance of Dulles Rail, noting that it took over 40 years to become a partial reality. He listed the many major transportation projects that have been completed in the recent past including the massive Springfield Interchange Project, the Dulles Rail Project, interchanges on Route 28, the Beltway HOT lanes, and others. Just think what kind of a bicycle network we could have by using just a small portion of the cost of these projects. He also talked about growing up in Boston where he walked and biked everywhere. Congressman Connolly introduced Peter Rogoff, head of the Federal Transit Administration. Peter's main point was that we haven't properly maintained our current transportation assets and they are crumbling. It's much easier for people to get excited about new projects. He noted that young people are driving less and relying more on transit and other modes. Tom Biesiadny of Fairfax County DOT discussed the many county transportation projects underway including bicycle and pedestrian projects around the future Tysons and Reston Silver Line Metro stations. The panel discussion was led by Adam Tuss, transportation reporter for NBC4. It's safe to say that all of the panelists noted that we won't be able to build enough roads to continue relying on the car for all our transportation needs. We'll need more choices including being able to walk and bike to nearby destinations. David Alpert of Greater Greater Washington said that what we need to do is reclaim the freedom of movement and access we had in earlier times when kids were allowed to ride and walk longer distances and our roads were smaller with slower speeds. It was relatively safe to get around using various modes of travel. In Fairfax we have many areas like the Route 123/Route 7 interchange, the Route 50/Beltway interchange and others that contain large empty zones that could be used much more productively. Some of those interchanges could be transformed into more urban forms. One challenge is that VDOT needs to be more willing to make changes that they think would slow traffic but would make for more livable places. Boomers and Millenials want walkable/bikeable places. The sharing economy is growing, freeing some people from the need to own a car or bike if they have access to carshare and bikeshare. David walked from the Dunn Loring station to the theater but it wasn't a pleasant walk, and the big streets around Mosaic are not pedestrian- or bike-friendly. Had bikeshare been available he would have used it. As was noted by Dan Reed on Greater Greater Washington today, Fairfax is not alone when it comes to the need to tame or big roads. Josh Sawislak of Mobile Work Exchange noted that one way to reduce congestion is telework. It's a new concept for many people, but it works better than most think. 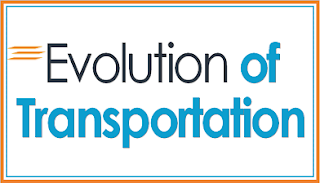 We have a great deal of transportation capacity that is overburdened for only relatively short periods each day. By removing a small percentage of those people, through flexible work schedules or occasional telecommuting (or biking) we could greatly reduce congestion without the need for more capacity. Frank Weith of Volkswagen Group of America started off his discussion by noting that he lived in Munich, Germany for several years. The city could be used as a benchmark for personal mobility. Travel between various modes is relatively seamless and is a good model for the U.S. The Tysons Mobility Hubs are based on a similar concept, specifically a system used in Bremen, Germany. Frank also described the future of car travel that included a couple of Volkswagen commercials and a discussion of the advanced features being added to cars (that many people think will lead to increased driver distraction). It is possible that the connected car could reduce crashes in the future but it requires a great deal of infrastructure before becoming a viable option. After the many talks there was no time for the questions submitted by the audience. We wanted to know what can be done to keep from creating islands of mixed-use development near transit that are surrounded by big roads, like the Mosaic District. A single, synthesized question was asked of the panelists: How can we remake our transportation system so that there is space for everyone, not just cars. David pointed to the need for a grid of streets rather than having just a few big roads where all traffic is funneled. It's counter-intuitive to many people that having more roads can make places more ped and bike friendly. A connected grid of streets can lead to smaller blocks, lower speeds, and more options. Not many roads in DC have nine lanes like Gallows Road. Frank noted that it's difficult to walk and bike in his neighborhood and that we need to connect the gaps in our bike and ped networks.